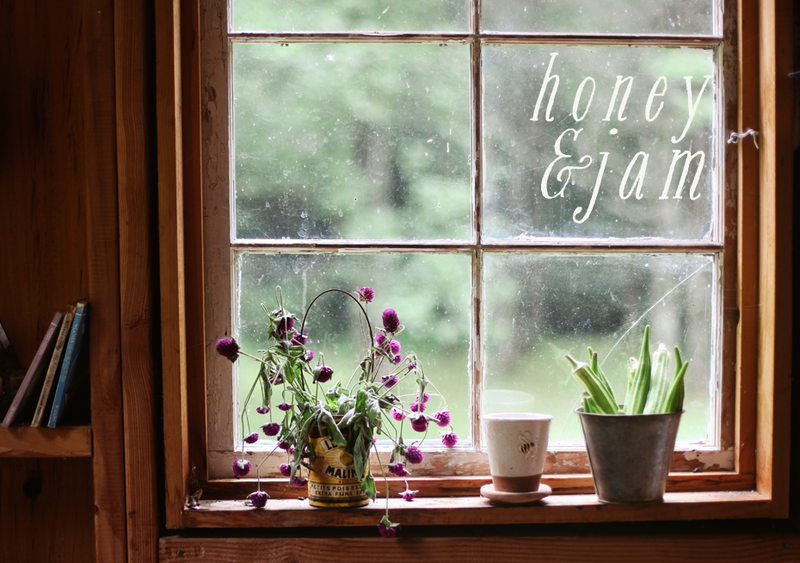 honey & jam | recipes + photos: easter and blueberry pie. This has been a very good Easter. I woke up this morning to blue skies and warmer temperatures. Then church service was fantastic. I love church on Easter, there is so much joy and happiness. When we got home, I started working on my contribution to Easter lunch - blueberry pie. It’s something I hadn’t actually made before, even though I love blueberries and blueberry cobbler. Mine wasn’t perfect, the crust was over done a bit and the inside was too wet, but I liked it. It was both tart and sweet, a little too tart for some people (yes, you sarah! ), so I’ll probably up the sugar next time. After lunch my family drove out through the national forest, it was absolutely gorgeous. Rhododendrons were everywhere, they catch the light so beautifully. But, just let me say this: it not good to have a fear of heights when you are driving through the mountains. I’ve lived here for 8 years now and I still don’t like the falling off side. It’s not pleasant to look through the window and picture your eminent death careening down the side of a mountain. But the views are nice. 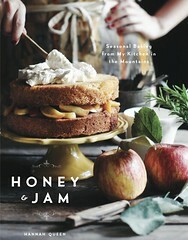 from Baking: From My Home to Yours by Dorie Greenspan. Getting Ready: Butter a 9-inch pie plate (Dorie uses a standard Pyrex pie plate). Working on a well-floured surface (or between wax paper or plastic wrap), roll out one piece of the dough to a thickness of about 1/8 – inch. Fit the dough onto the buttered pie plate and trim the edges to a ½ inch overhang. Roll the other piece of dough into a 1/8 inch thick circle and place it on a baking sheet lined with parchment or a silicone mat. Cover both the circle and the pie plate with plastic wrap and refrigerate while you pre-heat the oven and prepare the filling. Getting Ready to Bake: Position a rack in the lower third of the oven and pre-heat the oven to 425 degrees F.
Put the berries in a large bowl and gently stir in the sugar, flour, salt, zest and juice; let sit for about 5 minutes. Taste the filling and add more sugar and/or lemon juice, if needed. Remove the pie shell and top crust from the refrigerator. Sprinkle an even layer of the breadcrumbs over the bottom of the shell. Give the filling a last stir and turn it into the crust. Using your fingertips, moisten the rim of the bottom crust with a little cold water. Center the top crust over the filling and gently press the top crust against the bottom. Either fold the overhang from the top crust under the bottom crust and crimp the edges attractively or press the top crust against the bottom crust and trim the overhang from both crusts even with the rim of the pie plate. If you’ve pressed and trimmed the crust, use the tines of a fork to press the two crusts together securely. Using a small, sharp knife, cut 4 slits in the top crust crust and cut a circle out of the center, then lift the plate onto the baking sheet. (If you have time, refrigerate the pie for about 30 minutes. The pie can also be wrapped airtight and frozen for up to 2 months. Glaze and sugar it before you put it in the over and add at least 15 minutes to the baking time). Brush the top crust with the egg wash, then sprinkle the crust with a little sugar, just to give it sparkle. Bake the pie for 30 minutes. Reduce oven temperature to 375 degrees F, and bake the pie for another 30 minutes or so (total baking time is about an hour) or until the crust is a beautiful golden brown and the filling is bubbling up through the slits. If the crust seems to be browning too quickly, make a loose foil tent for the pie. Transfer the pie to a rack and let it cool and settle for at least 30 minutes before serving. Blueberry pie... ah, it looks so heavenly!! I need to get hold of some blueberries. That pie just looks darn delicious! I love, love blueberry pie. 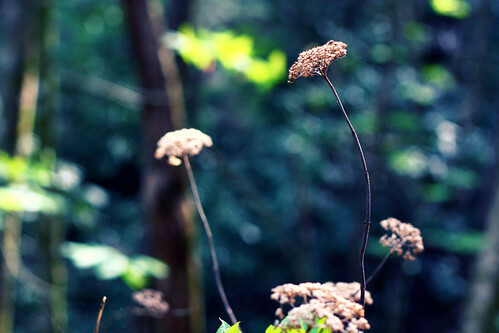 Nice photos. Blueberry pie would've been a nice addition to an Easter meal... subtly bringing in Summer. Gorgeous. And ditto about church service on Easter - the best one of the year. The pie looks so good! 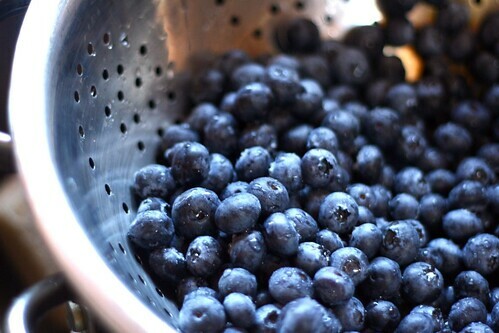 I love blueberries! i'm glad you had a happy easter! i made a pie too, and it was too runny and not sweet enough either, but it still got eaten, so that is a good sign right? your pie looks fantastic and so yummy! Your pie looks gorgeous, and I'm so glad you enjoyed your Easter Sunday! hey you're a gardener... do you have any tips for someone who doesn't know much about green-thumbing it, but who is trying to grow basil? Or know of any good/informative websites? I have a plant that i have had for about a year now, but due to a year of trimmings, its getting kinda scraggly looking, and the leaves are SO not as dark green as they used to be (which i learned means theyre not as flavourful either!) It has now sprouted big flowers (again) and i was wondering if there was a was to harvest the seeds somehow, to plant a new basil plant. Just wondering!! Beautiful, beautiful pie by the way! Gorgeous photos! That blueberry pie looks so tasty! 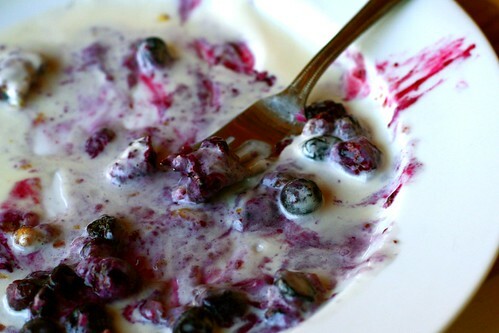 I love blueberry anything! We have family that owns a big blueberry farm! Mmmmm, this looks SO good. 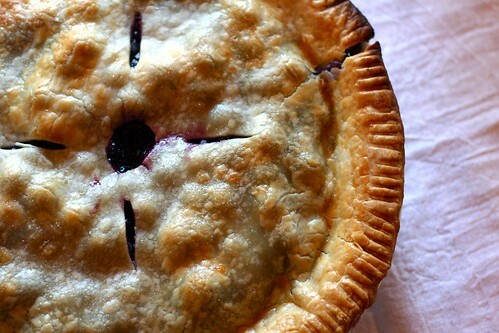 I've made this pie and it's fantastic...can't wait till blueberry season here! I have DOrie's book and have made this pie. Yours looks great. Wish I could have a slice now! Great pie and great photography! A friend of mine brought this pie to a dinner I hosted a few weeks back. It was so good, I asked him for the recipe and he sent me the link to your post. Useful articles I would recomendasikan to a friend. I have a women's health information please visit: what question should i ask?